Here's an album that's bound to stir some controversy amongst the band's most devoted fans. I had read for some time now that Night Ranger had planned to modernize their sound for their first album of the new millennium. There is no lie in that statement, as the new Night Ranger album is very contemporary sounding, while featuring easily some of the band's heaviest material to date. There is also some material that is very peculiar for Night Ranger to be found on this album. I'm not sure that this is the type of album that will appeal 100% to any fan. Instead, most will likely find some material to enjoy while skipping over the rest. Therefore, the question in determining who will like this album the most is entirely up to individual taste. I'll lay out as objectively as possible all the different elements and surprises coming into play on this album, which means that most will need to try this album for themselves before buying. One thing is for certain, sticklers for the Dawn Patrol, Midnight Madness, and Seven Wishes sound of the band will want launch this CD out the window right now. Tell Your Vision opens up the album with a heavy statement as to where Night Ranger is in 2007. The guitars are loud, heavy, and in your face, with no keyboards. Furthermore, the down tuning of the guitars demonstrates the band's determination to bring their sound into the 21st century. Kelly Keagy sounds almost evil during the verses of this song, yet Jack Blades joins in for the familiar, harmonized vocal hook that Night Ranger is known for. The techno-ish intro scared me at first, but it quickly disappears into a loud, guitar driven sound, albeit an unfamiliar one for the band. The heaviness and sinister nature of the guitar work on this album almost throws the song fully into metal territory instead of the accessible, AORish hard rock most may associate Night Ranger with. Drama Queen is a faster paced track, yet not quite as heavy as the opener. Again, the chorus lines are classic Night Ranger all the way, but a dual riff fuels the song for its duration, while some wild, layered solos fill up the middle portion of the song. This track is similar to old Night Ranger, but with a contemporary spin. Gonna Hear From Me is driven by an old school, heavy riff, with the chorus lines featuring some very catchy harmonized vocals. The song thunders along with a badass attitude, including some gang like vocals toward the end. Solos and shreds are all over the place, ensuring that this and Tell Your Vision are easily Night Ranger's heaviest songs to date. Next, the band serves up the first twist of the album. Whatever Happened has a punkish attitude, as it starts with a Green Day like guitar lick and an attitude soaked vocal line from Jack Blades. The bass presence is authoritative, like a backhanded smack across the face. The chorus is excellent, one of the best of the album. The guitar work is heavy again, but the solos and shredding are much less prominent. The chorus is great, but Night Ranger doing a punkish, power pop rocker is surely going to catch some fans totally off guard. Next comes There Is Life, which is a very safe, Sister Christian like ballad. While not a total copy-paste job, the eerily familiar piano into is there, and the blueprint for the rest of the song is nearly identical their smash hit of yesteryear. The trademark harmonies and tear jerking chorus is also present on queue, just as you can predict upon first listen. Like Whatever Happened, Rock Star is another pop-punk / modern rock cut. The guitars on this track are the most tuned down of the album. The vocals during the verses see Kelly and Jack half speak the lyrics with an attitude. With this track, the band loses me, and it is clearly the most modern rock sounding track of the album. Even the solos have some very modernized production effects for good measure. The title track is next, and it's another attitude driven, up tempo rocker. More of the band's classic sound is present in this song musically speaking, but with a definite tougher attitude. Again, the harmony vocal driven chorus line is memorable as hell, and the guitars are very much in your face and energetic. The energy level comes to a grinding halt with the next track, Fool In Me, an acoustic ballad. Kelly sings this track, and it sounds like an introspective, adult contemporary pop track. Sorry, but this is too far out there for my tastes. White Knuckle Ride is next, and it features a dark, very down tuned guitar riff, similar in style to Rock Star in terms of sonics. Some contemporary production effects are present throughout. While the riffs are very heavy and dark, I find them to be a bit simplistic and repetitive. The harmonized vocals sound closer to Alice in Chains than Night Ranger. When you combine all the above, what you get is a nu metal meets modern rock track. Revelation 4 AM is a simpler tracks that starts on a very soft note, but with a very convincing vocal line from Kelly Keagy. The guitars are predominately acoustic, with some eclectic guitars introduced during the chorus when the tempo briefly picks up. The chorus does fall a bit flat with its lack of catchiness, but the emotional delivery from Kelly is impressive. Wrap It Up is probably the most purely classic sounding track on the album. This is an uptempo rocker with active, pounding riffing throughout, and a nice dual lead. Again, the chorus isn't among the most memorable from the band, but it does sink in after a couple listens. Kelly's vocal delivery is ballsy and powerful, making this my personal favorite of the album. Being ends the album on a lackluster note. This is a laid back, acoustic ballad backed by soft rock like percussion and subtle keyboards. The vocal delivery is similar to something you'd hear from Creed, oddly enough. Musically speaking, nothing grabs me at all. It's the kind of song that is just there. Well, there you have it. 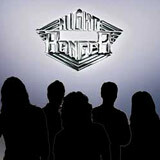 The new Night Ranger album covers a wide array of styles, all of which in a modernized setting. With the variety of style to be found on this album and the modernization of the band's sound, Night Ranger fans are sure to be at odds over this album. While I firmly believe that individual tastes will determine who likes this album and who does not, I would be taking the easy way out by not stating my own conclusion as part of this review. The zig zagging between styles (punk, pop, modern rock, slight nu metal, and classic Night Ranger) is too much for me. I don't know if you're going to find many fans who enjoy ALL the aforementioned sounds, who will therefore enjoy this entire album start to finish. I appreciate parts of the album, but cringe at others. It would seem to me that most other fans will also find their own favorite spots in this album, but write off many other parts.